Located in eastern Myanmar along the border of Mae Hong Son Province Thailand, Loikaw is the capital of Kayah State. 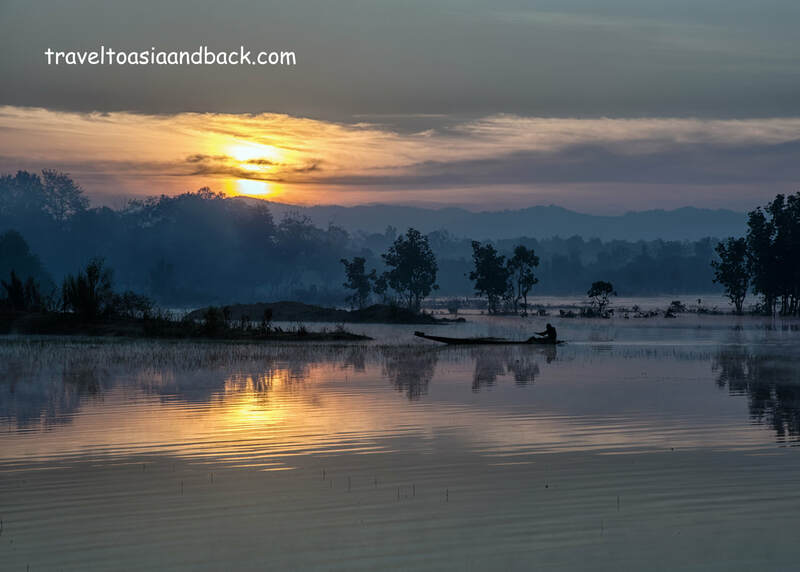 This is the country’s smallest and least visited state as it was largely off limits to foreign tourists due to security concerns resulting from years of armed conflict between ethnic armies and the armed forces of Myanmar, officially known as the Tatmadaw. A ceasefire, implemented in March of 2012, has paved the way for both independent travelers and organized tour groups to visit this fascinating region. Situated at the southern edge of the Shan plateau, Kayah State is well known for its stunning and diverse landscape which includes tree-covered mountains, deep valleys, karst limestone formations, rivers, caves and the “Seven Stages Lakes”, a group of volcanic lakes that are interconnected by a series of small canals or channels. As it flows from the Tibetan Plateau into the Andaman Sea, the Salween River and its tributaries have carved out numerous caves from the area’s limestone mountains. Formed by a vast system of underground rivers, a dozen surveyed cave systems can be found in Kayah State. Nestled amongst these rolling hills are numerous remote villages inhabited by some of Myanmar’s most interesting ethnic groups. Until fairly recently, the majority of these villages were completely off limits to foreign tourists due to a combination of security concerns and a lack of infrastructure. But as the security situation improved, road building became a high priority, making the villages far more accessible. There are at least nine ethnic minority groups living in Kayah State. The majority of which belong to a group that is collectively known to Westerners as Karenni, Red Karen or simply Karen. 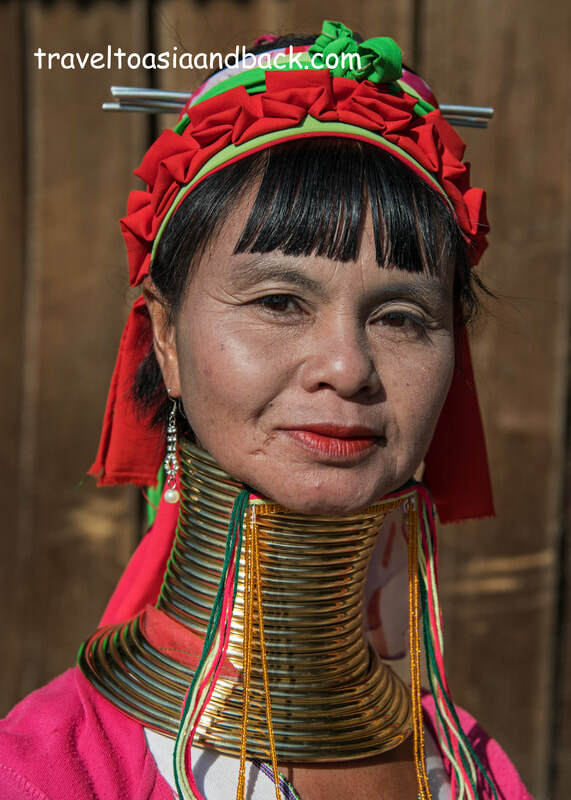 The Karenni can be further divided into subgroups such as the Kayah and Kayan, which branch off to form at least thirteen more subgroups. Travelers may find that researching the Karenni and their enormous family tree can be time consuming and somewhat overwhelming. 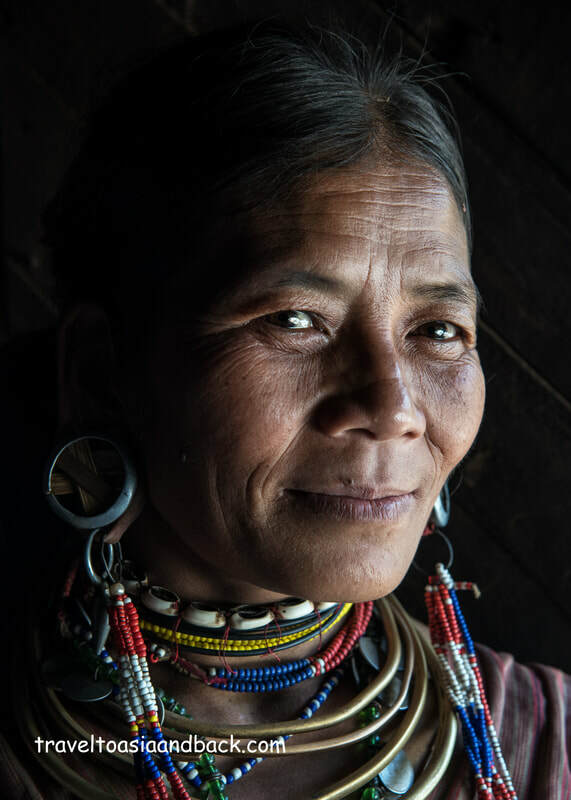 Fortunately, on the ground in Loikaw, things are much simpler and in local parlance the three largest ethnic groups are the Kayah, Kayaw and the Kayan, the later of which are also known as the Karen Padaung. Spelunkers, people who study and explore caves, have dubbed Kayah State “The Land of River Caves”. At 2194 meters long, Kyat or Kyet, is Myanmar’s fifth longest cave system. Located ten kilometers east of Loikaw, this popular travelers’ destination is often included on day tours. Known by the locals as Ghost Cave, it is also referred to as a coffin cave because it was once used for the interment of dead bodies laid to rest in simple wooden coffins. Although these caves are no longer used as tombs, and many of the coffins have been looted for their wood, this is considered to be a sacred site and is adorned with a small stupa and Buddha images. In addition to its beautiful natural scenery Loikaw and the surrounding area have a number of interesting Buddhist pagodas. Often precariously perched on top of towering karst limestone massifs, a visit to one or more of these sacred monuments can be easily included on day tours of the vicinity. The town’s most prominent landmark, Taung Kwe Pagoda is a particularly popular destination at sunset as it offers unobstructed views of Loikaw town and the surrounding countryside. Demoso Township, located along Highway 5, 18 kilometers south of Loikaw, hosts a busy and lively morning market on Mondays, Wednesdays and Saturdays. The market attracts farmers and traders from the surrounding minority villages and neighboring states. The trading begins just after dawn at this colorful market and we suggest arriving early before it becomes too crowded. 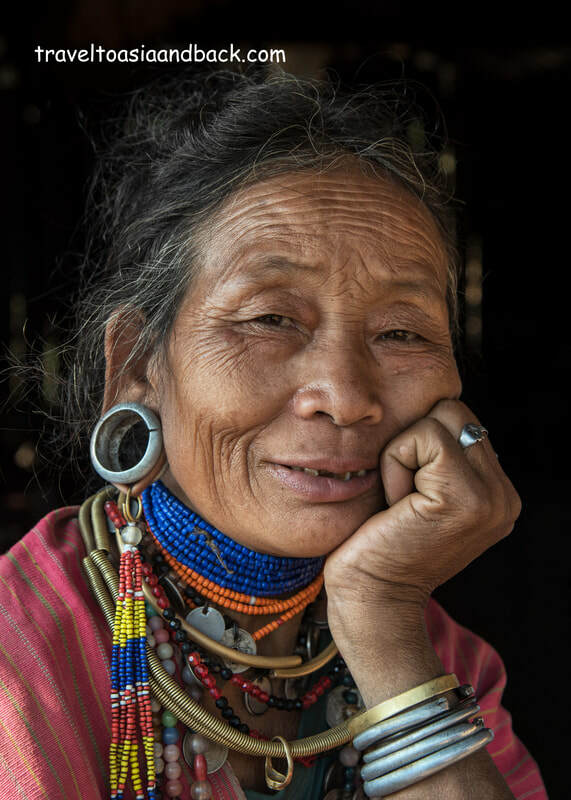 Many travelers come to Loikaw specifically to visit the remote ethnic villages in the hills and mountains surrounding Loikaw town. Although the area’s security situation has improved dramatically since the ceasefire, and travel restrictions are easing, permits are still required to travel on some roads and visit certain villages. In these cases, travelers must hire a local tour guide / driver, who will organize the permits and present them at various checkpoints. Situated 536 kilometers from Yangon and 372 kilometers from Mandalay, the fastest and easiest way to reach this fascinating region is by plane. Myanmar National Airlines operates daily flights on the 50 minute route between Yangon (RGN) and Loikaw Airport (LIW), conveniently situated just two kilometers from the town center. Daily “express buses” connect Loikaw and Yangon; the trip takes approximately 18 hours. Numerous buses, mini-buses (vans) connect Loikaw with Aungpan, Kalaw, Mandalay, Naypyitaw, Nyaungshwe (Inle Lake), Taungoo and Taunggyi. Another popular travelers’ option is to take a boat from Inle Lake (Nyaungshwe) down to Pekon and then travel overland to Loikaw. It is also possible to reach Loikaw directly by train via the nation’s capital Naypyitaw. However, as this journey takes around 25 hours it is not a very practical option.